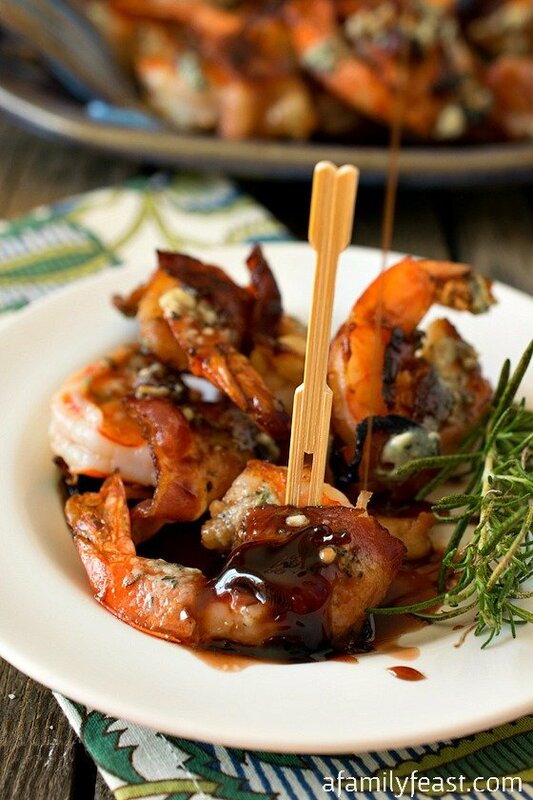 Today we’re sharing an incredible recipe with you – Bacon-Wrapped Gulf Shrimp with Blue Cheese Butter and Port Reduction. 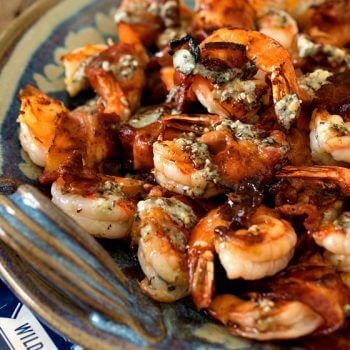 This recipe is an explosion of flavors in your mouth – tender shrimp wrapped in salty bacon, topped with a tangy blue cheese butter and finished with a sweet, rich port reduction. And, it’s a recipe inspired by my recent travels to the Gulf Coast. Earlier this month I was part of a group of bloggers who were invited by the Gulf Seafood Marketing Coalition to tour the Gulf Coast, meet some of the people, taste some of the food, and learn about the incredibly passionate efforts that go into producing quality Gulf Coast seafood of all kinds for our consumption. Seafood is not only a way of life in the Gulf region today – it has been an important part of that regions’ rich heritage for many generations. But the efforts of the Gulf Coast seafood industry go far beyond benefiting just those living along the Gulf coast. The Gulf region is a national treasure for all of us, no matter where we live! The Gulf Coast has a long-standing history of being pioneers in many commercial fishing practices, and the nutrient-rich, natural environment found in the Gulf waters results in seafood of superior quality and taste that can’t be matched! The newly-rebuilt Maritime & Seafood Industry Museum is a great place to learn more about the seafood industry in the Gulf region. As you might know, the Gulf region was severely impacted by the devastation caused by Hurricane Katrina in 2005, as well as the massive oil spill in 2010. During my travels it was truly wonderful to see the resilience of the local community in action, and I’m happy to report that a strong recovery in the region is well underway, the seafood is safe to eat (not to mention incredibly delicious! ), and the region has joined together in a renewed commitment to preserving its status as a provider of the best, wild seafood in the world. We had the huge pleasure of eating amazing seafood at some of the best restaurants in Louisiana and Mississippi including Lüke in New Orleans, Vestige in Ocean Springs, Mississippi, and Half Shell Oyster House and Cora’s at The White House Hotel, both in Biloxi, Mississippi. Every chef and restaurant owner we met was passionate about serving local seafood in their restaurants. We also had the chance to meet with local officials committed to protecting and promoting the local seafood industry. And we saw firsthand how shrimp is caught, then processed for safe distribution worldwide. But I learned an astounding fact: 95% of the shrimp that is consumed here in the United States is farm-raised overseas! And unfortunately, the shrimp that is harvested overseas is not held to the same strict guidelines that wild American shrimp is. So – to ensure the safety and quality of the seafood you eat, be sure to always check the label so you know exactly where your seafood comes from! Living ourselves along the coast of New England with easy access to fresh, locally caught seafood – I was so excited to taste the seafood from the Gulf region, and everything I ate was fantastic! When I arrived home, I was inspired to prepare some wild American shrimp recipes with my husband Jack (who was very envious that he didn’t travel with me!) – and we decided upon this Bacon-Wrapped Gulf Shrimp with Blue Cheese Butter and Port Reduction. Original recipe courtesy of Anthony Spizale of The Rib Room in New Orleans via LouisianaSeafood.com. For more information about Gulf Seafood, visit the Gulf Seafood Marketing Coalition. Disclosure: My travel and expenses were covered by the Gulf Seafood Marketing Coalition. All opinions are 100% mine. In a small sauce pan, place all port reduction ingredients and bring to a boil. Reduce to a simmer and cook down to ½ cup, about 15 minutes. Strain liquid and discard solids. Set aside. In a small bowl, mix softened butter, blue cheese and chopped rosemary. Set aside. In a large pan or griddle, cook bacon over medium high heat just until it starts to turn brown and transfer to paper towels to drain. The bacon and shrimp cook at two different times so the bacon needs to be partially cooked first before wrapping raw shrimp. Do not cook the bacon too long or it will not be pliable enough to wrap around raw shrimp. Take one tablespoon of bacon fat and add to blue cheese butter and mix thoroughly. Save remaining bacon fat for other recipes. Place butter mixture in a small pastry bag with an open round tip (one big enough to accept small pieces of blue cheese without getting clogged). Set aside. On a cutting board, cut each strip of bacon in half across the center which will give you 32 pieces. That should also be the count in the two pounds of shrimp. Leftover shrimp if any, use for other recipes. Take each half strip of bacon and wrap once around each shrimp and secure with a toothpick coming in from the side so the shrimp will cook flat. Repeat for all 32 pieces. Using the same griddle, clean and heat to medium to medium high. Add oil and once hot, place all of the bacon wrapped shrimp down onto the pan on their sides. If the pan is too crowded, cook in two batches or cook with two pans at once on two burners. Cook for about two minutes or until they start to turn pink. Flip and repeat for other side. Do not overcook. If you are not sure, pull one out to test. Shut off burner and with pastry bag, pipe blue cheese butter over each one then immediately remove shrimp to a platter leaving fat and residue in pan. Just before serving, drizzle with port reduction or serve port reduction on the side. 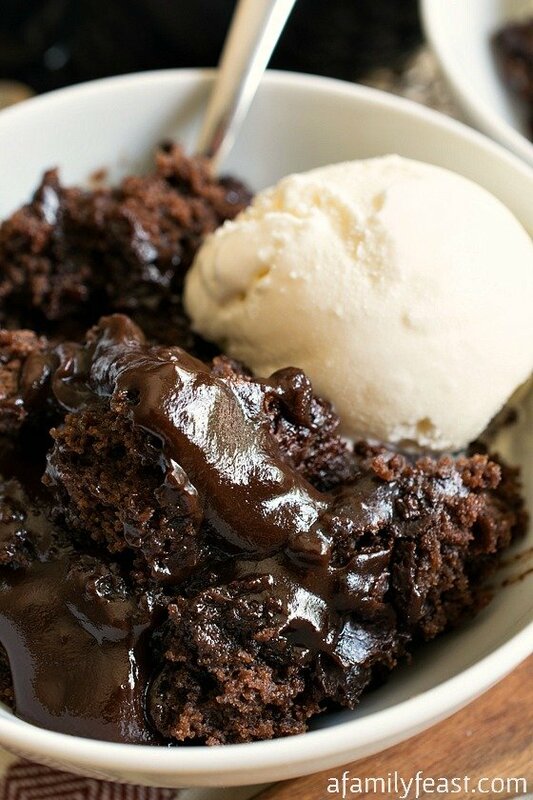 I think I’ve died and went to heaven! Wow! What an amazing recipe and trip! Gulf Shrimp All The Way!!! Thanks Stephanie – That blue cheese butter (as well as all of the other flavors) is fantastic! I’ll apologize now for the need to admit that I didn’t actually read the post, but in my defense, those gorgeous shrimp are about all I can handle!! I am entirely serious when I say that they may be the most delicious-looking shrimp I have ever seen! My parents brought back 10 pounds of huge shrimp from the Alabama coast and this is one of the recipes that I will definitely make with them! what an AMAZING trip that must have been, your pictures are just wonderful! 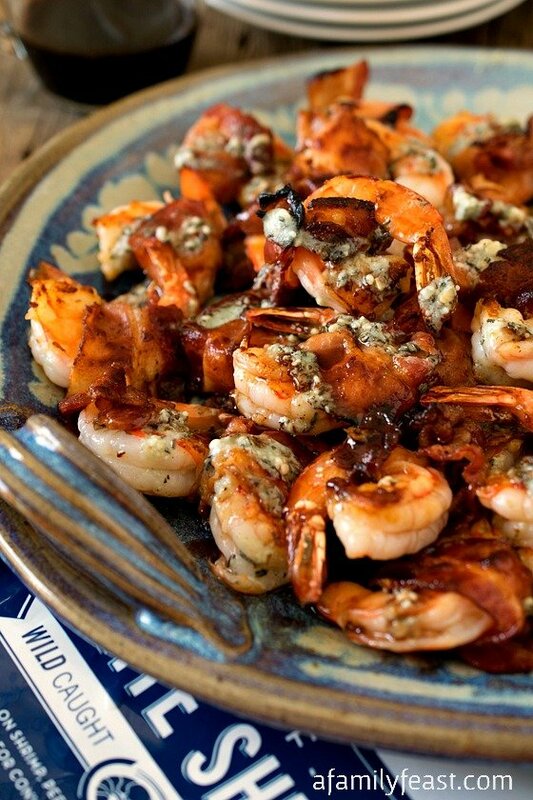 and hello shrimp with bacon and blue cheese, it’s hard to top that combination! Oh my! Not only does this shrimp deal look fantastic, but so does the recent trip. I didn’t realize how big the seafood industry was down by the Gulf. We are big into seafood up here in New England, but I’d really like to check out more on Southern seafood. I’m thinking a road trip may be in order. I didn’t know you were from New England too Lisa! (We’re in Plymouth, MA) This was my first trip to the Gulf Coast and I loved it! The seafood does taste a little different than our New England varieties – but equally as good! Your photos in this post are stunning – what a trip! It sounds like you perfectly described this gorgeous dish when you called it an explosion of flavors…I really love the addition of rosemary here! Thanks so much Faith! It was a great trip! What an amazing trip! I’ve only been to New Orleans once but one of the dinners remains in my top 10 of all times. The seafood is just spectacular. I can usually find gulf shrimp easily around here. This shrimp dish would be a huge favorite of mine too. I totally agree Christie – a few of the dishes I ate are now in my top 10 too! Great dishes using fresh gulf seafood! Wow, it looks like you have a wonderful trip and a great learning experience! These bacon wrapped shrimp look fantastic, my husband would absolutely drool over them. All your photos are lovely, would love to visit the Gulf Region sometime, have never been. Thanks for sharing!